UEMS forming higher high & higher low. Today bullish momentum succeed breakout upper resistance line. Immediate support @ RM1.18 level. Subsequent support @ RM1.12 level. 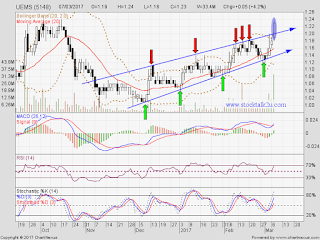 Immediate resistance @ RM1.23 level. 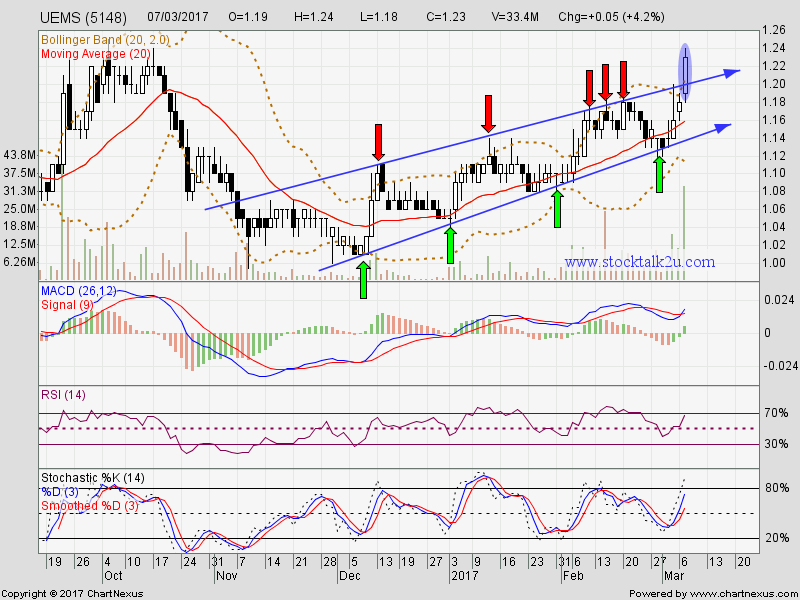 Subsequent resistance @ RM1.35 level.